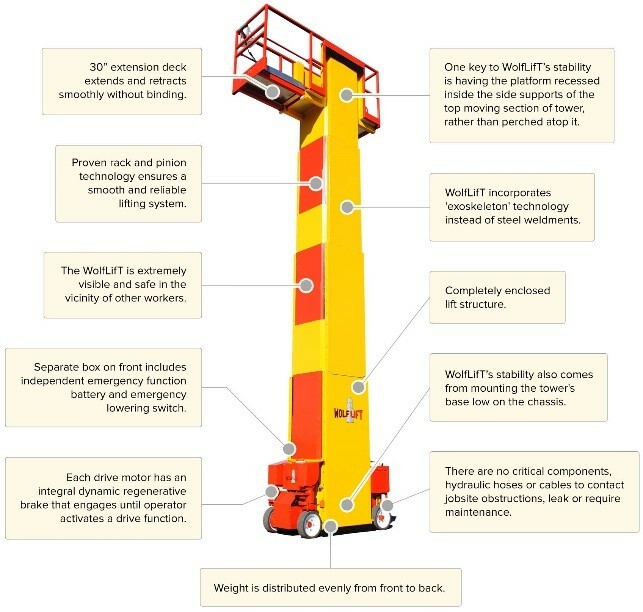 Despite its small footprint, the WolfLifT will support two workers with unsurpassed stability, creating far superior worker comfort and feeling of security in all kinds of work situations. The result is greatly improved work quality and productivity. The WolfLifT is ideal for facilities like banks, office buildings, stores, schools, hospitals, clean rooms, food-processing plants, and other places that want clean, quiet operation from a compact machine. 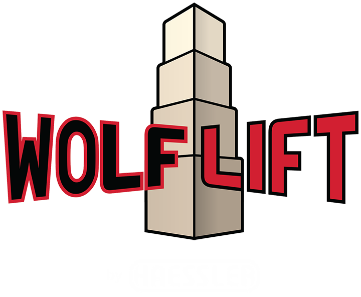 WolfLifT's small footprint also allows it to fit through standard single doorways and into elevators. For more information on the WolfLifT, click here.